The perfect solution for those looking to experience camping without the hassle of setting up a tent! 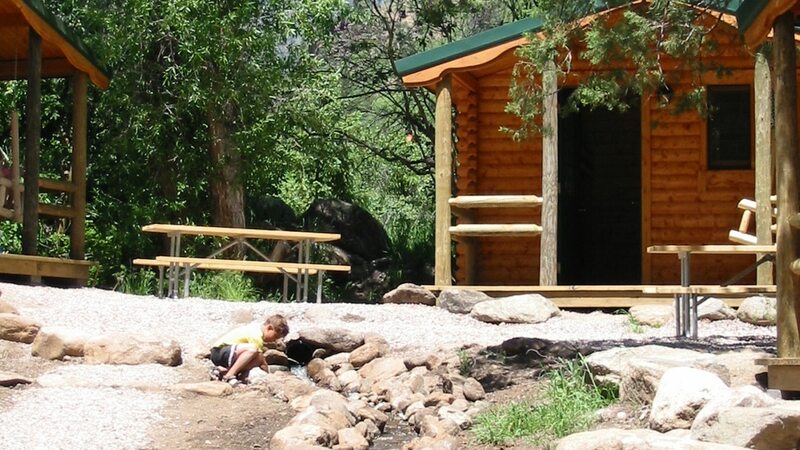 Situated in the upper wooded section of the resort, these cabins create a private area complete with stand up barbecues, a common campfire pit and picnic tables to share with your fellow campers. You’re just steps away from our large, modern bathhouse & laundry facility, water spigots and convenient parking. You’ll feel secure in these rustic log cabins that can accommodate up to four guests with a double bed and a set of twin bunk beds. After a good night of protected sleep, step out onto a covered porch complete with swing. You can even bring your pet in one of the “pet friendly” units! Limited number of cabins allows 1 large or 2 small/med non-aggressive dog(s) for an additional fee and must be reserved in advance. Please refer to Pet Policy. 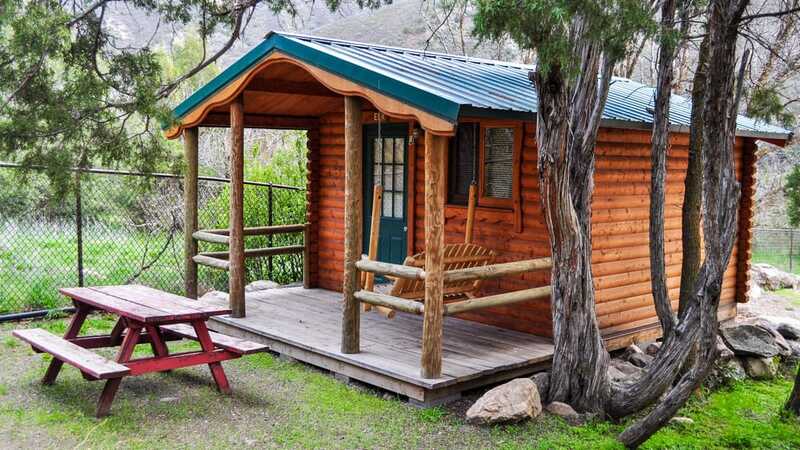 For a great camping experience without the hassle of loading a ton of equipment into your vehicle and pounding stakes into the ground, try one of these adorable, yet affordable cabins. 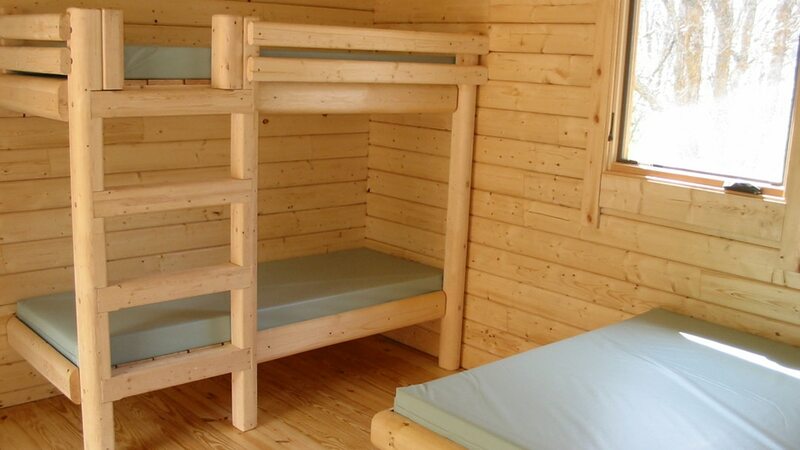 We supply the cabin and the beds, you supply the sleeping bags (or linens) and pillows. These cabins offer a great alternative to the typical tenting experience.